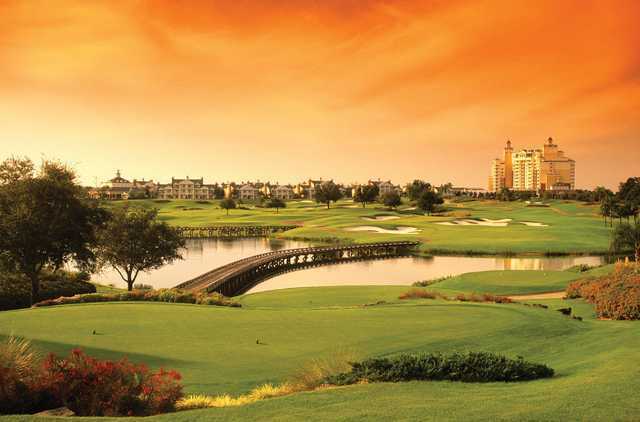 Designed by Tom Watson, the Watson Course has more of a links feel than the other two courses at Reunion Resort. 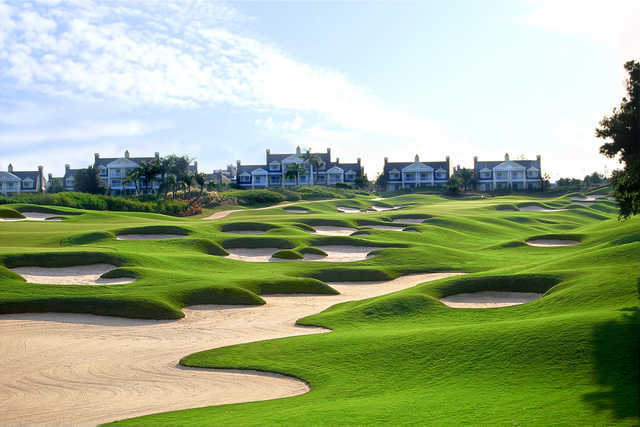 With approximately 120 bunkers of all different sizes and designs, and plenty of waste areas, there is no need for water hazards on this undulating layout. With five sets of tees, the course can play as difficult as you like with a slope of 140 from the back tees. The large greens complexes often have multiple tiers with swales that can make both putting and chipping tricky, giving reward to sharp short games.